Victorian ladies loved jet. 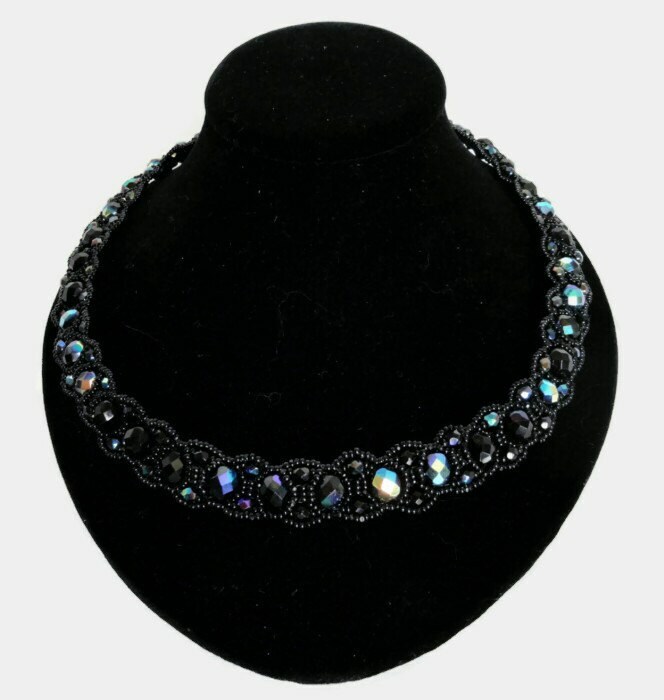 This design is an echo of those times with Czech glass of 8mm and 4mm Jet Aurora Borealis (AB) beads surrounded in a lacy design of black opaque Charlotte seed beads. 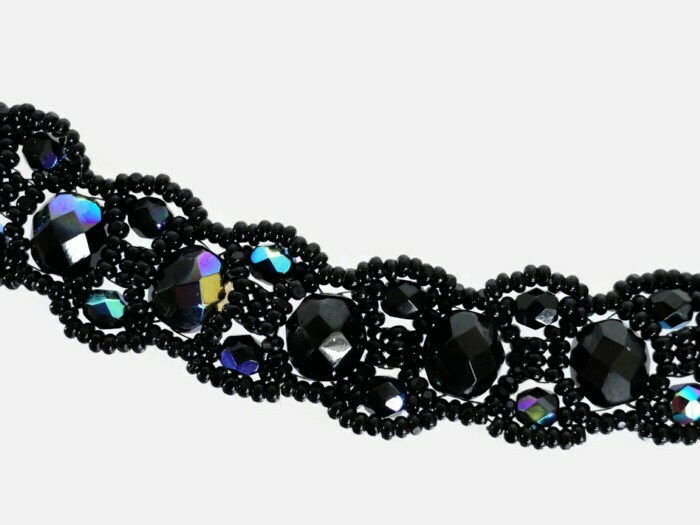 Aurora Borealis is defined as a special finish, named after the Northern Lights, because when the light catches an AB bead at a certain angle, the bead will shine/glow with various colors. Charlotte seed beads also have a unique finish where one side is flattened, causing a facet which reflects light. 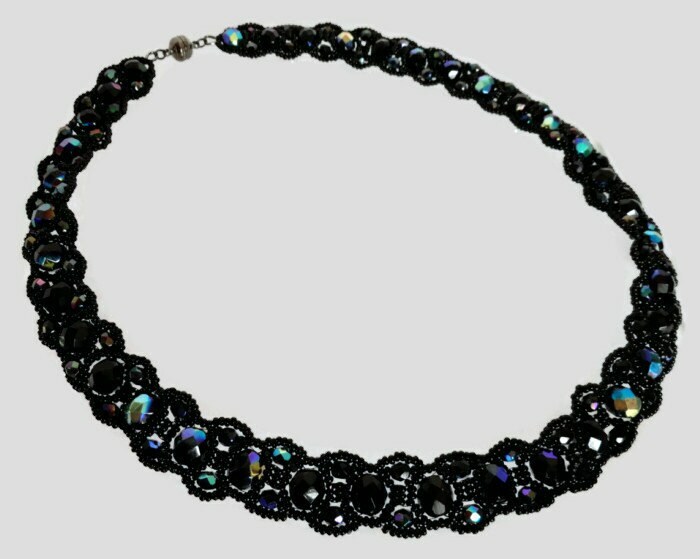 Entirely hand-stitched, this necklace is light yet strong, and is finished by a gunmetal colored magnetic clasp for ease of use.